How Can Janka Test Help Select Which Species of Wood I Should Use? We are often asked many questions such as: “There will be a lot of traffic on my stairs and I am afraid of scratches or dents. How can I determine which species of wood should I use?”. The answer is the Janka Test! When determining the species of wood to use for your stairs, another consideration besides colors, grain, style is the hardness. Therefore we would refer you to the Janka test. 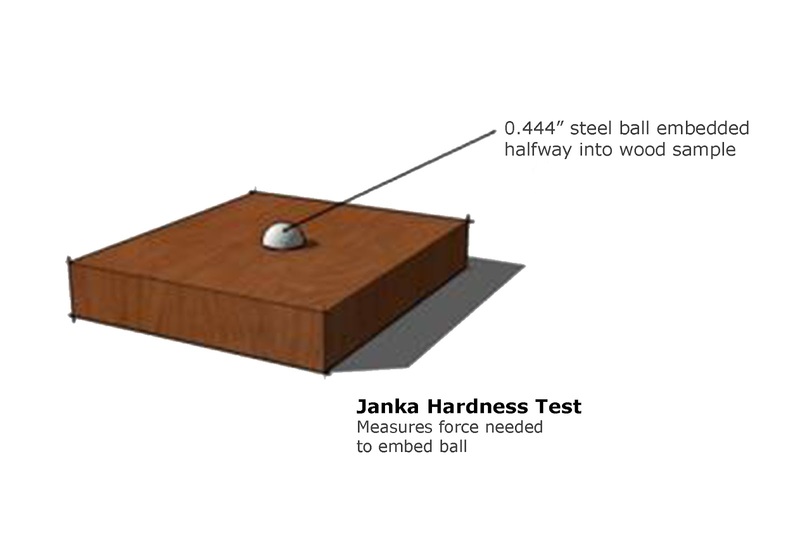 The Janka test measures the force required to embed an 11.28 millimeter (0.444 inch) steel ball into wood to half its diameter. The Janka test measures the force required to embed an 11.28 millimeter (0.444 inch) steel ball into wood to half its diameter. This method was chosen so that the result would leave an indentation 100 square millimeters in size. It is one of the best measures of the ability of a wood species to withstand denting and wear. It is also a good indicator of how hard a species is to saw or nail.